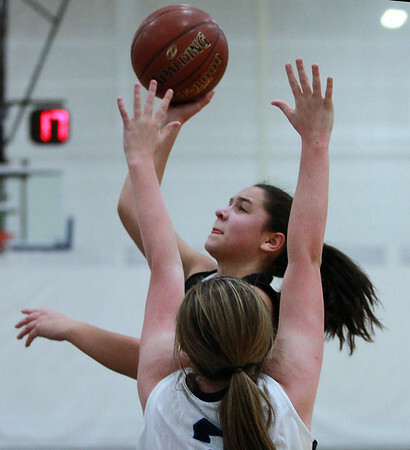 Salem freshman guard Emily Fabre gets a hook shot off over a Swampscott defender. DAVID LE/Staff photo. 1/20/15.